Patagonia combined the benefits of our innovative, lightweight Houdini® Jacket with the lightweight breathability of our Airshed styles to create the ultimate hybrid cap. 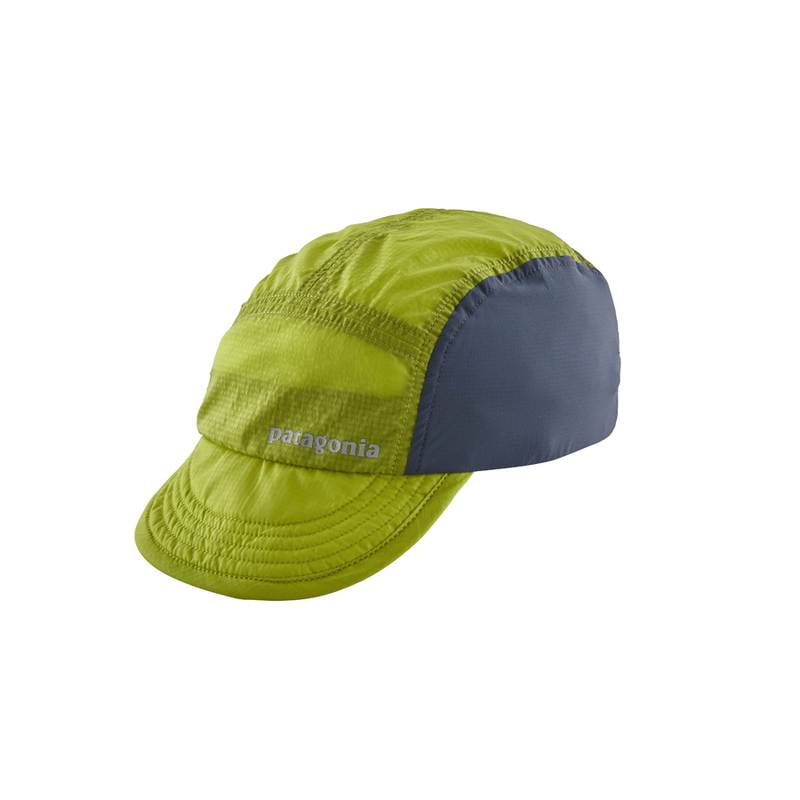 Built for performance and style, this 5-panel hat folds down and fits in the pocket of a pair of running Shorts. The new Airdini Cap works like magic. Airshed fabric on the side panels dries fast and breathes freely, while Houdini® fabric on the brim and main body sheds shifty weather. A minimal, moisture-wicking sweatband enhances temperature management, and the back panel stretches for a custom fit. With reflective logo and DWR (durable water repellent) finish on the body and brim. 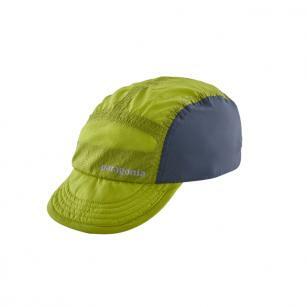 Solid body and brim: 1.2-oz (prints: 1.1-oz) 100% nylon ripstop with a DWR (durable water repellent) finish. Side panels: 1.3-oz 100% nylon ripstop with mechanical stretch.